The June featured artist, Natalie Jo Wright, currently is a large-scale portrait painter. This month she will be showcasing her paintings and prints. 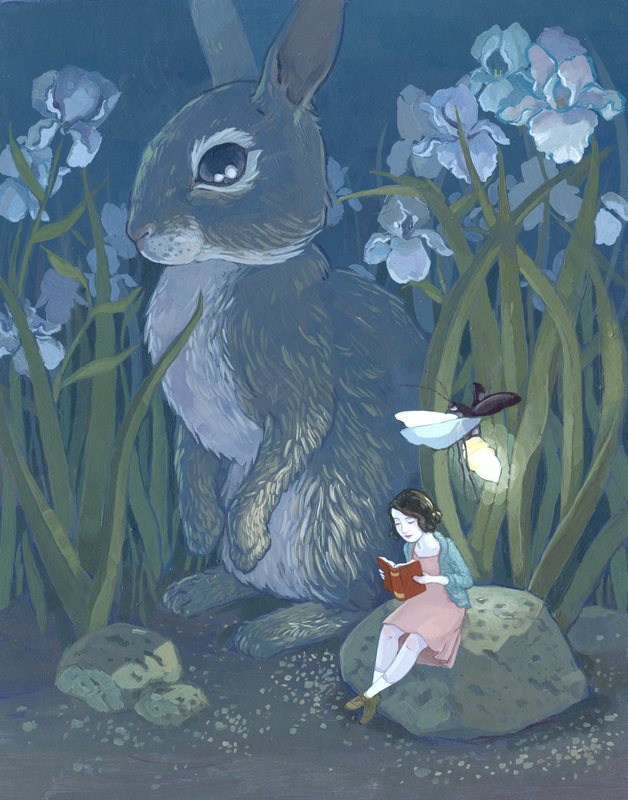 Natalie thoughtfully made a large number of her original paintings into giclee prints for this exhibit. 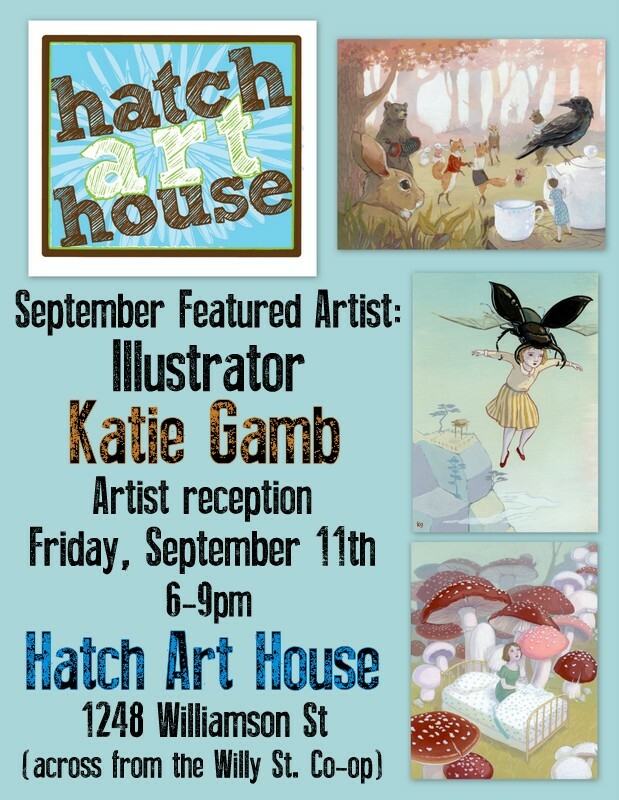 Natalie’s artwork will be showcased at Hatch June 1st-30th with an artist reception Friday, June 9th 6-9pm. Refreshments will be served. 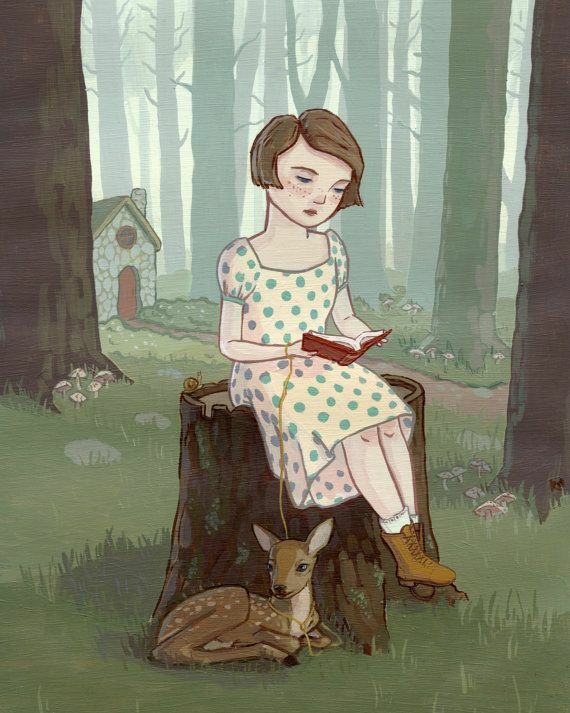 The featured artist for August is Madison painter, Lynn Lee. Lynn paints in a modern impressionistic style and will be focusing on a series of Willy Street neighborhood homes along with his stunning figurative work for his latest paintings. 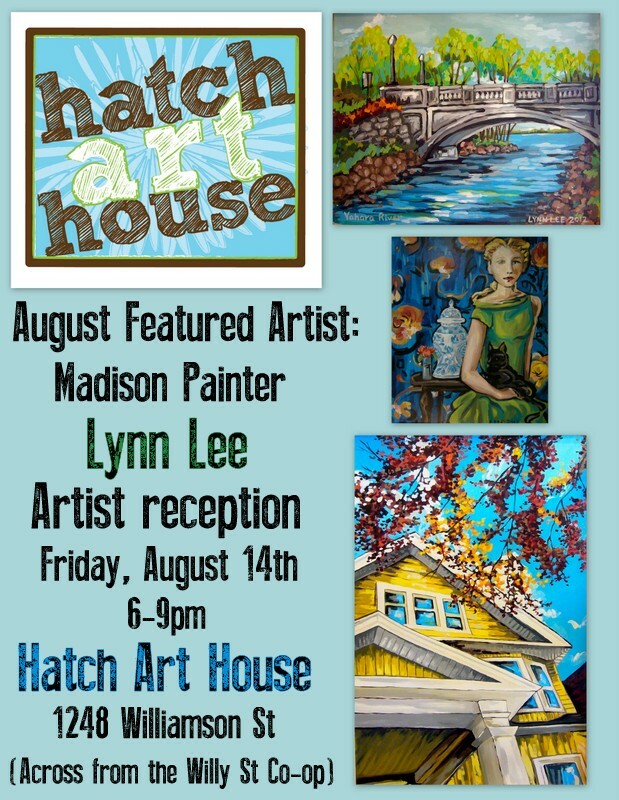 Lynn will have his work showcased at Hatch Art House from August 1-31 with an artist reception Friday, August 14th from 6-9pm. Refreshments will be served. 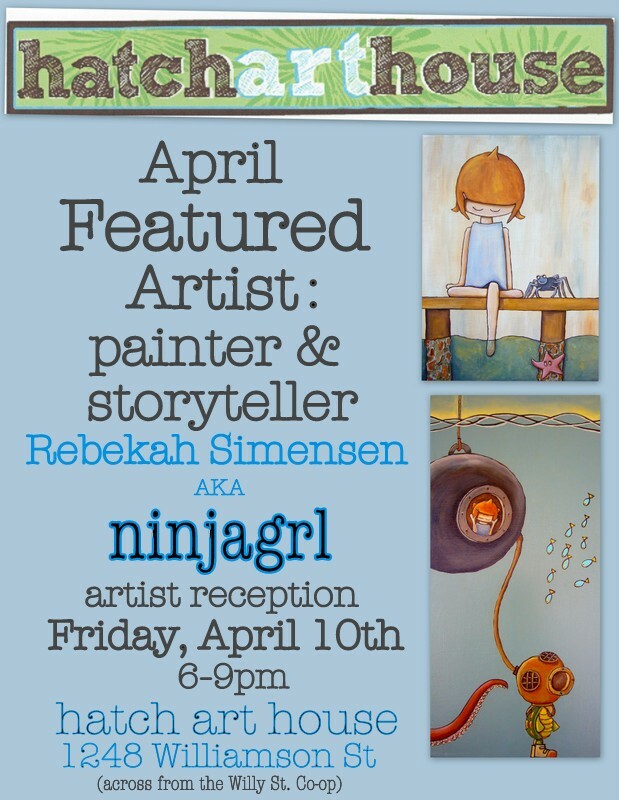 The April featured artist is Madison painter and illustrator, Rebekah Simensen, aka “Ninjagrl”. 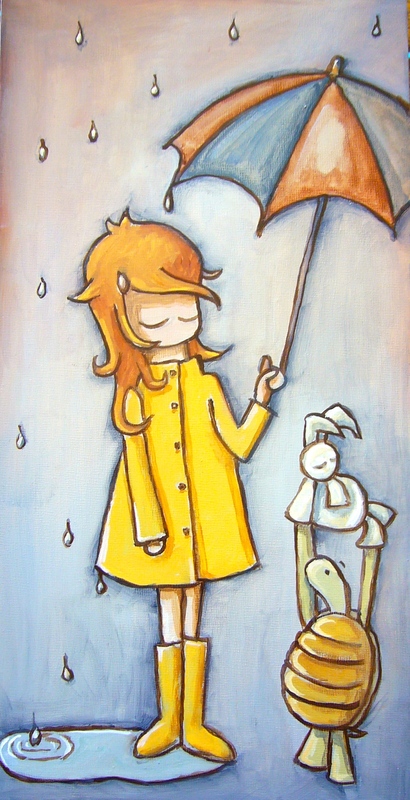 Rebekah tells the story of Ninjagrl and her pet turtle through her paintings. Ninjagrl is based on the real-life story of Rebekah and her cat named Turtle. Turtle proved to be a loyal companion and unending source of inspiration, in addition, her time spent as a volunteer at the Seattle Aquarium opened her eyes to the wonders of the ocean world. She hopes to emulate the aquarium’s mission in her own, small way – to inspire conservation of our marine environment by providing glimpses of the amazing creatures that live there in her unique ninja style. 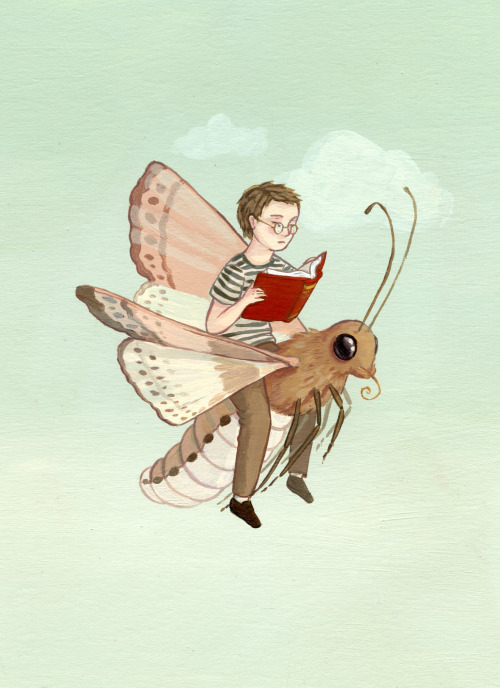 Rebekah’s artist reception will be held Friday, April 10th from 6-9pm. The show will run for the month of April.